CAN WE HAVE MASS-TOURISM WITHOUT DEGRADING THE ENVIRONMENT? According to UNESCO, 30% of the world’s tourism is located in the Middle East and in 2030, this region is expected to welcome over 500 million tourists. Against this background, is it possible to have this expected mass-tourism without degrading the environment? This question was debated at the 6th Mediterranean Forest Week in Lebanon. We all know that random and unorganized tourism has dangerous impacts on biodiversity and fragile natural areas. This type of negative tourism also degrades natural resources, pollutes sites and has physical influences such as deforestation. During the side-session on the preservation and valorization of Mediterranean forests from mass tourism impact, Jad Abou Arrage gave a detailed report on the impacts of tourism on a Lebanese mountain trail. He noted that hikers play the role of guardians, since they’re the first ones to report pest outbreaks, forest fires, land deterioration and natural disasters. Now, more than ever before, we need to make a shift in the tourism industry, especially since mountains are trendy, popular and attract tourists. The advantages of tourism in terms of income, promotion, and preservation should be noted and highlighted. But rules and regulations need to be set in order to minimize the harmful impacts. The Mediterranean Experience of EcoTourism – or MEET Network – is currently structuring the tourism flow and creating high quality eco-tourism packages in the region, as well as providing funding for sustainable projects. The sooner that stakeholders are involved in the process of development, the more efficient and easier it will be for recovery and prevention. We, as a community, need to adopt responsible and eco-friendly behavior to ensure that our natural heritage lasts – for all generations – to come. “Biodiversity decline is causing a loss of 55 billion dollars a year,” said Mr. Mastrojeni while addressing the attendees of the “Biodiversity for resilience in the restoration of Mediterranean forests” parallel session at the VI Mediterranean Forest Week. The session discussed the shifting from the monospecific afforestation to a holistic approach with multiple objectives combining several socioeconomic and environmental benefits. The session discussed shifting from monospecific approaches to re-forestation, and rather adopt a holistic approach, with multiple objectives combining to result in socioeconomic and environmental benefits, for the region as a whole. Mr. Grammenos Mastrojeni, Coordinator for the Environment and Head of Science-Policy Interface with Italian Development Cooperation, presented a new perspective towards combating climate change. Mastrojeni talked about the history and vitality of society in the Mediterranean region, which had for years depended on a predictable and stable climate. Shedding light on the need to preserve biodiversity and the environment, Mr. Mastrojeni explained the importance of maintaining local climate regulation services – as well as empowerment and cultural identity services – across the Mediterranean. Mastrojeni highlighted the importance of the cooperation in the Mediterranean region to mitigate climate change effects in regions where unpredictable changes to climate are making it difficult to organise society in terms of resources and subsistence. The arrival of unpredictable climate regimes is having a devastating effect on society in certain regions. Cooperation is needed because the impact of unpredictable climate changes is effectively randomizing ecosystem services. The result is that society in affected areas is unable to adapt to sustain the livelihoods of people. Social cohesion is disintegrating in these regions and impacting the Mediterranean as a whole. The entire region must cooperate to face the environmental challenges by focusing on replacing fossil fuels – which are an essential line of intervention both in rich and poorer areas. Finally Mr. Mastrojeni asked: “When will we intervene to interrupt this cycle? What instruments do we have to do so?” The aim, going forward should be to focus our projects in regions where climate change is breaking down the fabric of society among the poorest of the poor, he explained. This presentation triggered a question in all the attendees from around the Mediterranean. Now is the time to re-evaluate the aims and targets – as well as the location, capacity, and requirements – of every project in the forest sector. Did you know that forests act as water filters? Did you know that the forest can be a critical ingredient in achieving resilient cities? If you answered no, then bear with me as I show you that interactions among forests and other sectors are not one-way interactions. Although we are aware of the effects sectors like water and agriculture have on forests, we tend to ignore unintentionally the other side of the interconnection. 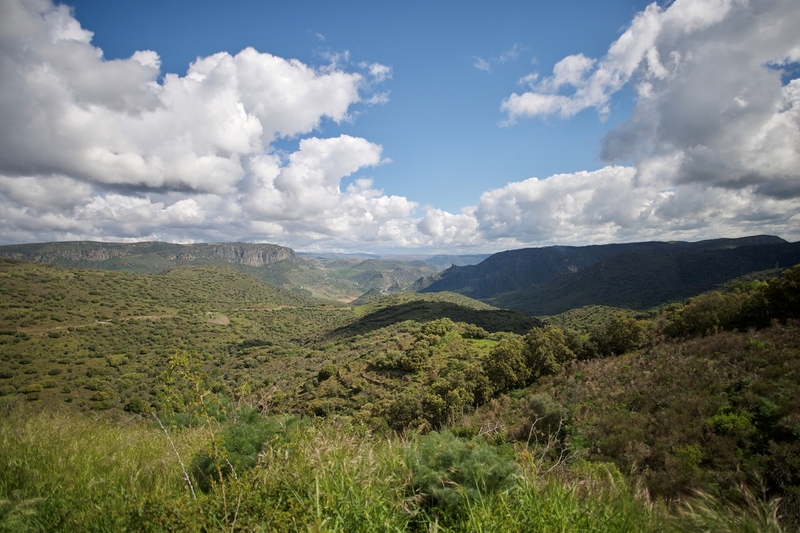 During the second plenary session that took place at the sixth Mediterranean forest week in Lebanon, keynote guest speakers followed four tracks to demonstrate forest-based solutions focusing on landscape approaches connecting forests to other sectors. Mr. Bahtiyar Kurt, natural resources and biodiversity cluster lead at the United Nations Development Programme (UNDP) in Turkey, closed the session by asserting the importance of integrated forest management by highlighting the results of a project implemented in Turkey. He also touched upon gender equality in Turkey by presenting campaigns addressing the issue which framed women as sustainable development drivers. Dr. Shiroma Sathyapala, forestry officer at the United Nations Food and Agricultural Organisation (FAO), opened the session by explaining the existing relationship between forests and water. She stressed the role of forests and their impact on water quality and quantity. She also briefly described the Forest and Water Programme launched by FAO. Following was Ms. Paloma Cariñanos, a lecturer from the University of Granada, who kicked off her presentation by showing alarming population trends in Mediterranean cities. Ms. Cariñanos then indicated that it is crucial to reconsider the role of nature and forests in mitigating climate change. Her conclusion was that cities need to be made more inclusive, resilient and sustainable in order to achieve the Paris Agreement sustainable development goals (SDGs). Another interesting speech was presented by the third panelist, Mr. Youssef Saadani from Tunisia, who linked forests to rural development and agriculture. Mr. Saadani acknowledged the importance of considering the territory as a whole and of implementing landscape management to improve local development. In general, panelists emphasized the role of an intersectoral approach to effectively addressing longstanding challenges facing the Mediterranean region. So, the next time you hear about the impact of a sector on forests, don’t forget to think the other way around! What is Social Innovation? And how can it play a role in Mediterranean areas? Social Innovation (SI) is a process or concept that has significant potential for rejuvenating rural Mediterranean areas. It can contribute to reversing land abandonment, increase competitiveness, secure jobs and re-establishing services in remote rural areas. In Lebanon, the concept of SI ecosystems is just emerging as successful starting points at the beginning of the road. In time, it is hoped that the concept will be defined as a key part in the Lebanese policy. “Current Lebanese laws don’t include social innovation as a defined state of social development”, said Bassam Al Kantar, a human rights and environmental activist in Lebanon. Public authorities have a key role to play in ensuring local development and community-based innovations will contribute to fulfilling the Social Development Goals (SDGs) through improving the social well-being of local communities. Marginalized rural areas in Lebanon will benefit from the solutions to challenges that SI concepts will bring. SI is also set to re-invent the role of the rural areas and their capacity to innovate. However, SI in marginalized rural areas in Lebanon is still to be defined and contextualized within the Lebanese context. Kantar affirmed that community-based SI is grounded in community needs and aims to achieve a positive change for the community and particularly its most vulnerable members. Any work within a specific community should consider its cultural values and base any intervention on them. From this, SI must be based on the unique values of each community and aim to preserve them. It is hoped that SI projects will mobilize the resources of the community for the greater benefit of its members. To increase the capacity of SI in marginalized rural areas, we need to consider creating Social Innovation Observatory (SIO) to improve the adaptive capacity of SI projects. By decentralizing funding opportunities, communities will be able to leverage the ability of SI to boost local economies of different sectors. At the micro level, we need to provide legal and financial mechanisms to institutionalize SI as a process of local development and social equity and wellness. A legal framework is also vital in order to enable SI to benefit from access to finance and acquire tax incentives. In addition, SI should exist in the ecosystem place and be introduced in schools and universities. Finally, and most importantly, we need to learn from international best practices, adapting the local context and increasing awareness on Social Innovation. Based on the mentioned recommendations, we anticipate SI to be integrated into policy down the road and become a flagship for Lebanese rural sustainability in the future. IS FORESTRY ON THE RIGHT PATH? Lebanon is home to 20% of the world’s biodiversity of which 25 000 species are plants. It is also home to many endemic species due the country’s relief and climate. As we move higher in altitude towards the mountain tops, the temperature drops. If the isotherm shifts towards the mountains, species such as cedars (Cedrus sp. )and firs (Abies sp.) will be in danger. The impact of climate change on the conservation of forest genetic diversity was the focus of a scientific discussion at this week’s 6th Mediterranean Forest Week in Brummana. Speaker Fulvio Ducci from the Forestry Research Centre (CREA-SEL), Italy, explained that during glacial history, plants had time to adapt to changing conditions. However, with climate change, more frequent increases in temperatures are resulting in a decrease in precipitation during the summer so plants are not able to adapt quickly enough. The resulting heat waves are disastrous for plants, as they cannot acclimatize, and species such as beech (Fagus sp.) are being threatened. ‘Marginal populations’, or species that grow on the edges surrounding the core of the region, are also at risk. It is important to consider genetic characteristics, says Ducci. Not for their potential usage but for the way they’ve adapted to such conditions. As the climate changes, these plants need to be monitored, managed and protected with good silvicultural techniques. Developing an inventory of genetic characteristics is important for the identification of species at risk and to conserve seeds which impel the need for skilled propagation nurseries. Phenotypic diversity, genetic adaptation, and migration are three ways that plants cope with climate change. According to Bruno Fady (INRA), migration is difficult, particularly in flat areas, where migration is harder than in steep areas. However, phenotypic plasticity, as measured in common gardens, includes studying the plants’ growth, their reaction to insects and any other interesting characteristics. Traditional forestry needs to start working in an experimental way. Fady suggested that foresters should even consider introducing the same species from one region to another. Michele Bozzano from the European Forest Genetic Resources Programme (EUFORGEN) concluded the debate by stating that genetic diversity varies within species’ distribution ranges as plants don’t restrict themselves to borders. Traditionally, foresters breed plants for a denser cover, but shouldn’t we start breeding for biodiversity? The conservation and sustainable utilization of natural carbon sinks, together with REDD+, and a specific window clearly focused on forest landscape restoration (FLR) is the foundation for achieving nationally determined contributions for the Paris Agreement, suggests Nicolas Picard from Silva Mediterranea. 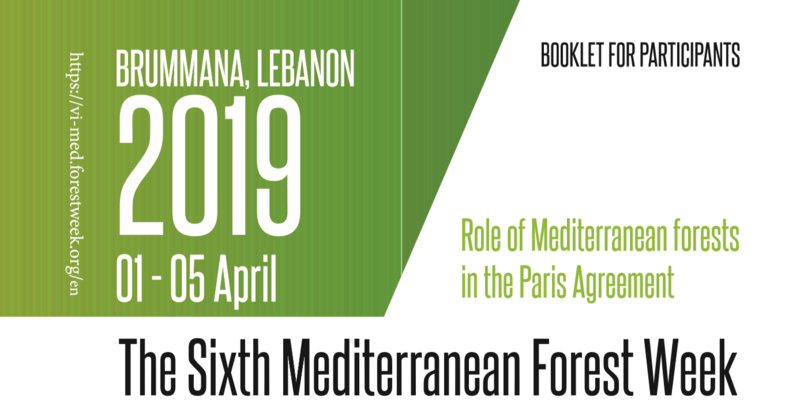 At the 6th Mediterranean Forest Week which took place on the 1st of April in Lebanon, Picard gave a presentation entitled: ‘The Paris Agreement in Action: Up-scaling FLR to achieve nationally determined contributions’. In his presentation, Picard gave an overview, objectives, and progress of current FLR projects in the Mediterranean region. So how did FLR projects develop? Opportunity. After the 5th Mediterranean Forest Week that took place in Morocco, the topic was discussed in December 2017 and finalized by the FLRM of FAO a year later. The Union for the Mediterranean (UfM) and FAO launched the project today. The FLR is a four-year project where national launching events and activities will continue until June 2019. Furthermore, as a global project, it mainly focuses on three targeted regions: Mediterranean, Asia-Pacific, and Africa. This project consists of two main outputs: Output 1, which deals with regional activities; and Output 2, which deals with large scale national FLR plans. The FLMR approach in Lebanon refers to Output 2 which is related to the local activities that will be implemented in the country. Enhancement of national monitoring capacities of FLR actions. The project has a target of restoration of up to 1000 hectares of degraded forests and is still in the process of selecting sites. The forest landscape restoration project is an initiative towards the custody of our natural resources for us and for future generations. 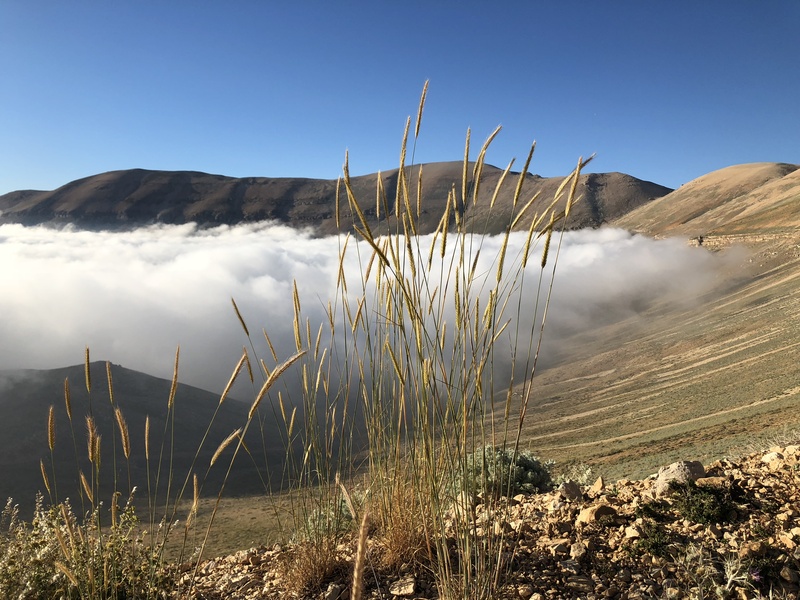 However, needless to say that though FLRM in Lebanon falls within the same scope, its management and approach need to be customized to local conditions based on prevailing conditions, mainly climate threats, relevant indicators, and biodiversity. Watch also this video interview (in French) with Nicolas Picard, recorded at the 6th Mediterranean Forest Week. What initiatives has the Mediterranean region established to mitigate and adapt to climate changes? Are these initiatives in line with global actions? Which tools are used in the Middle East and North Africa (MENA) region to assess climate change? And what role Mediterranean forests play in global commitments? To answer those questions, keynote guest speakers, at the 6th Mediterranean Forest Week, explained the current situation as regards the Mediterranean forests, and demonstrated how adopted strategies can complement the implementation of Sustainable Development Goals (SDGs). After presenting the risks resulting from climate change in the MENA region, Joel Guiot, research director in the CEREGE lab, initiated the first plenary session by introducing the network of Mediterranean Experts on Climate and Environmental Change (MedECC) as a robust scientific tool addressing the Mediterranean environment. Following was Sven Walter, program officer at the Global Mechanism, who identified land degradation neutrality (LDN) achievement as a forestry opportunity. He affirmed that achieving LDN, on national levels, will mitigate drought impact on forests and further induce the achievement of the SDGs on a global level. Walter also emphasized the importance of “opening the debate of sustainable forest management with other sectors to have cross-sectoral discussions in order to identify the way ahead at the country level between different sectors”. Using a concrete example, George Mitri, an associate professor at the University of Balamand, closed the plenary session by showcasing a study performed at the Qaraoun watershed in Lebanon. The case study accentuated the importance of adopting a standardized approach for mapping, assessing and monitoring land degradation to implement land conservation techniques. By the end of the first plenary session, the audience had better insights of the current situation of the Mediterranean forests, was able to identify several initiatives addressing climate change in the MENA region and understood the link between national actions and global commitments. HOW DOES #MEDFOREST2019 RESEMBLE A FOREST HABITAT? In a forest ecosystem exists several overlaying strata with its biotic and abiotic components. From the soil and the subsoil to the short bushes and shrubs, then to the trees with hanging vines, then to the upper canopies. Each layer is a world of its own having unique plant and animal species, all functioning together in their environmental infrastructure. With all the food chains, food webs, and ecological relationships going on. In my modest knowledge of forests, I see them as a hub of activity. They are among the top places on Earth full of life! And how I see it, our conference this week – the 6th Mediterranean Forest Week in Lebanon – represents just that. There are lots of visible and invisible layers in our conference on various levels. Layers being run and pirated by groups and individual with unique “niches” and “relationships”, among themselves and among others. From all the volunteers and employees doing all the work behind the scenes to the attendees: experts, researchers, managers, donors, policy makers which are the heart of the conference, to the media and communication teams which glue the whole picture together. This ladies and gentlemen is a bee-hive at work. And we all sure have good expectations that the productivity of this conference is the same as our beloved Mediterranean forests. So let’s all cooperate to make the best out of it! Organized by the Forest Communicators Networks and FAO, the workshop will be presented in two parts. In the morning, participants will learn how to get their message heard and understood through hands-on training in the fundamentals of communication and with concrete examples from successful campaigns. Participants will also have the opportunity to learn more about the Forest Communicators Networks, a network of nearly500 professionals that promotes communication and dialogue on forestry issues worldwide. In the afternoon and on Day 2, workshop participants will gain social and digital media skills in content creation, curation and dissemination in the social media boot camp. After completing the boot camp, the participants will form the core of the social reporting team for the 6th Mediterranean Forest Week and will work on-site to cover the event with tweets, blogs, videos, images and pictures, etc.